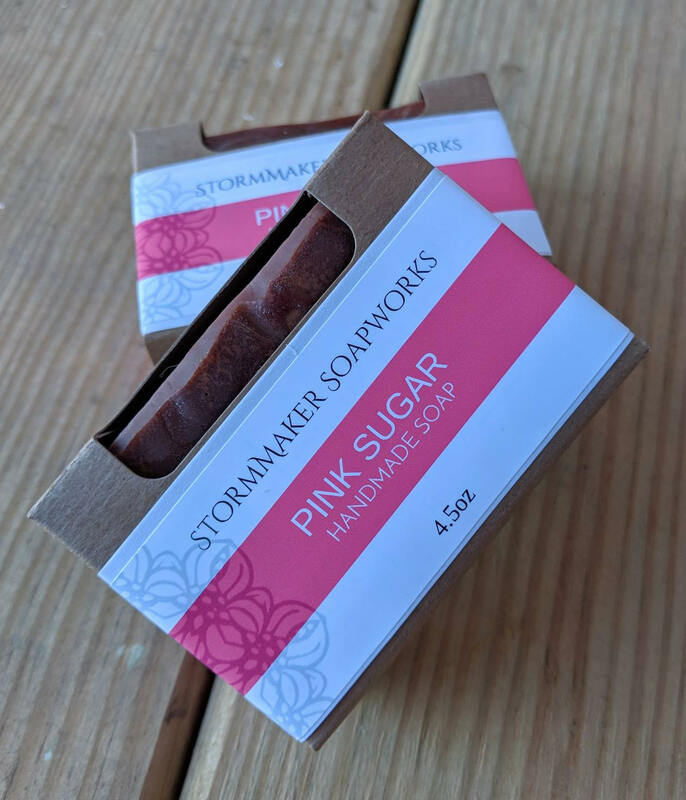 Our most popular fragrance is now in soap form! 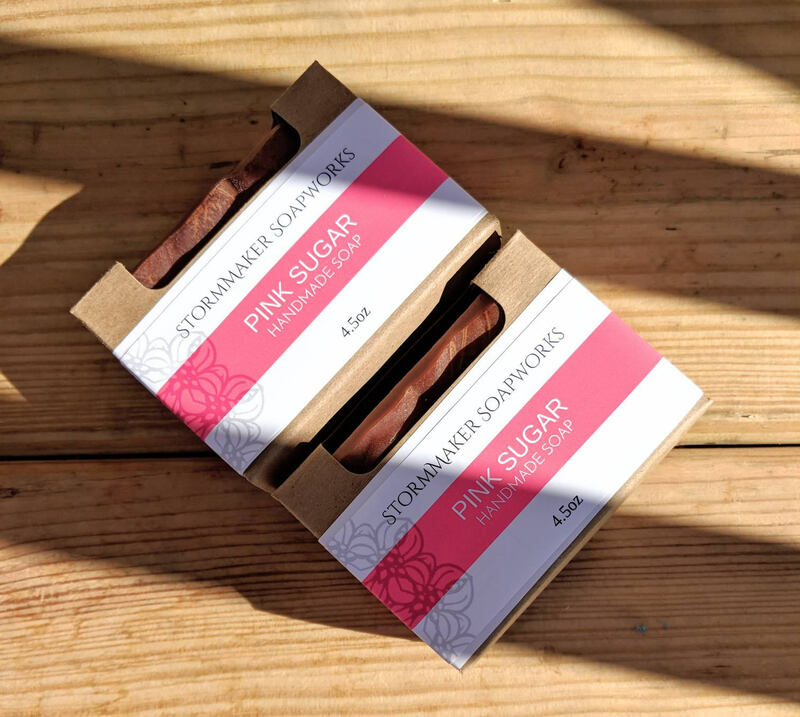 Pink Sugar has a fresh, clean, sweet scent often described as cotton candy. 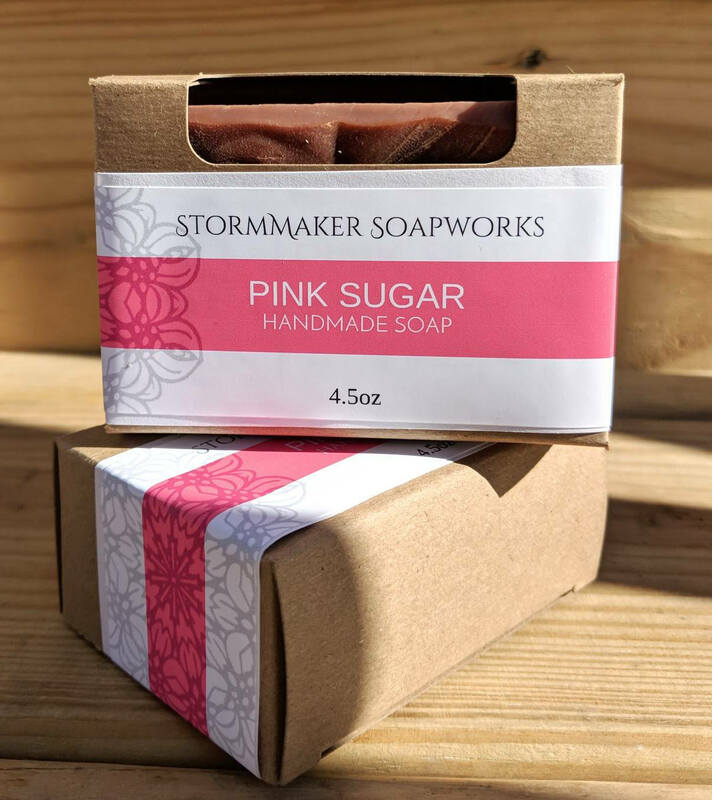 StormMaker Soapworks uses the finest, natural ingredients. 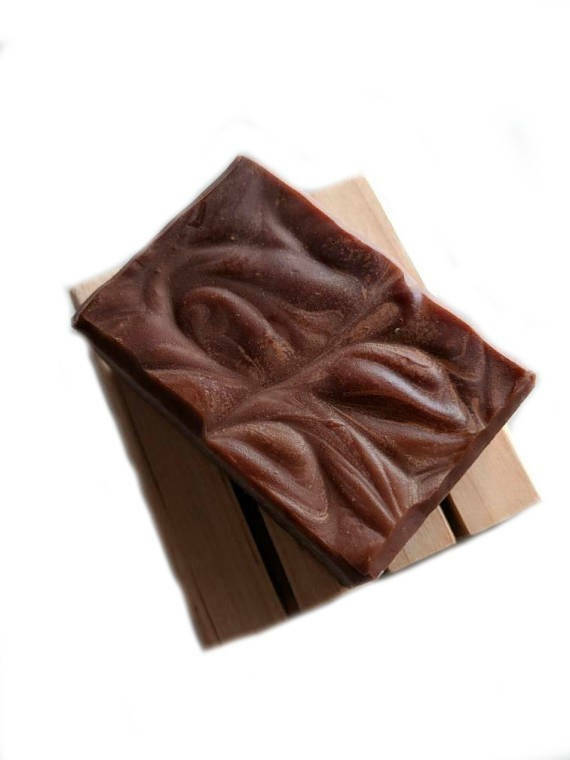 All of our soaps are palm-free. Love your skin, love your body, treat yourself to the best. All my soaps are made is small batches and will vary slightly in size and appearance.